CHIAVARI, Italy - Someone asked me the other day if I wasn’t just a little obsessed with food. A little obsessed? Is that like being a “little pregnant?” The truth is I come from a family of compulsive feeders. If you don’t eat it means you don’t like their food which is tantamount to saying you don’t like them. What do you mean you don’t another piece of my delicious cherry pie? Oh sob and heartbreak, how can you be so cruel. So the answer to the question is yes. I am obsessed – not a little obsessed – but totally, completely, absolutely obsessed with food. And I tell you, if you grew up with the people I grew up with, you would be too. Then of course there is the fact that I live in Chiavari, which is one of the foodiest towns on the planet. It is a town of shops, all kinds of shops but mostly food shops. In fact every other store sells some kind of food or drink or both, and I’m not even talking about the fruit and vegetable market with 15 or 20 stalls chock-a-block with every kind of fruit and vegetable imaginable. Even the flower shops have a basket set out in front with a few onions, a couple of zucchini or a handful of green beans the flower shop owner picked from his/her garden that morning and has put out to sell. 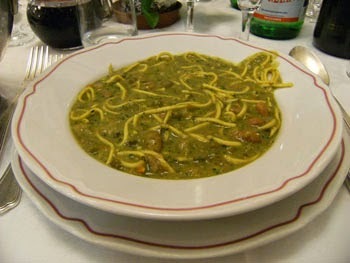 Genovese minestrone is part of the region’s “cucina povera” and has been around since the 1600’s. It may be called “cucina povera” but it is soul satisfying and packed with mouth filling flavor. This is Italian food at its best. Food that reaches into the past and pulls it right into the present and keeps it there. So what goes into minestrone? The most common of vegetables: potatoes, beans, zucchini, green chard (bietole), carrots, a few lettuce leaves, peeled tomatoes, onions, peas, cabbage – all types, and celery. Not always all at the same time and the choices change as the seasons change. 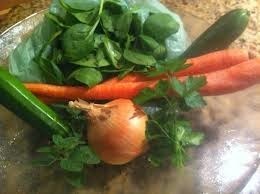 For example in the spring you can add fave beans, in the fall, spinach. What you won’t find are artichokes, eggplant, radishes or peppers, as they are best cooked in other ways. This minestrone is enriched with creamy borlotti beans (or cannelloni) and some type of short pasta or rice. The pasta most used is called “scuccuzzù” and is made by a Genovese pasta company. I don’t think it is even sold outside of Liguria. 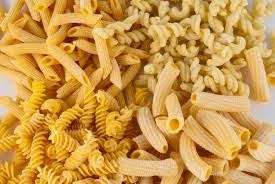 Another favorite is “bricchetti” which is made by DeCecco and possibly available in other areas, but any short pasta, or mix of short pastas, will do. The instructions are simple. Wash, peel (if needed) and chop the vegetables. Try to cut them all about the same size, for even in cooking appearance is important. Traditionally speaking you should cook the diced carrots, celery and onion in a little lard (or olive oil) in the soup pot before adding the rest of the vegetables and the cooking water, but no one will report you if you don’t. 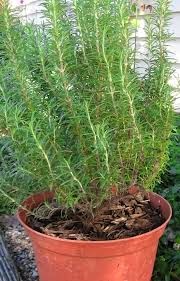 This is also a good time to put in a sprig of fresh rosemary or dried marjoram. Put the vegetables and dried beans in a large pot with enough water to sustain a fairly long cooking time. Then put in a couple of peeled garlic cloves and a left over crust from a piece of Parmigiano cheese. Put it to cook over low heat and don’t forget to give it a stir every now and again. If you are using canned beans, drain them and add them toward the end of the cooking time. When the soup finishes cooking, squish the soft, cooked garlic and mix it in with the vegetables. I took this recipe from an old cookbook of Genovese recipes and it doesn’t give a precise cooking time, it just says to cook the soup until the vegetables are soft. Turn off the heat and then add a few spoonfuls of pesto (remember without pine nuts) and a drizzle of extra virgin olive oil. If you want more a more robust broth, you can put in a couple of bouillon cubes before you add the pesto, but you didn’t hear that from me. If you want, you can cook your pasta right in the soup. I don’t do that because I always have some left over and the pasta gets soggy. I cook it in a separate pot and add it when I serve the minestrone. A final sprinkle of grated Parmigiano cheese in each bowl and it’s good to go. Serve at room temperature. Cooking, especially regional Italian cooking, is not an exact science. Housewives cook with what they have in the house. As for measurements, young cooks learn like I learned and probably you as well - by watching our mothers and grandmothers in the kitchen, and then one day the art of putting food on the table is second nature and our kids are watching us. It’s an old story, but a good story.